Place the jamiaca flowers in a bowl along with the garlic, oils, vinegar, salt, sugar and pepper. Let them sit for a few minutes, for the flowers to soften up a bit. Then pour everything into a blender and puree. The flowers will not be pureed until smooth. The mix will have a textured consistency with chewy flower chunks: that’s what you want! Let the mix stand for at least two hours. If it will not be used then, it can be kept in the refrigerator, covered, for up to a week. Place the spinach and watercress in a large bowl. Pour some of the vinaigrette on top and toss. Top with the chopped caramelized pecans and sprinkle the scallions over the top. Drizzle some more vinaigrette on top. If you have leftover vinaigrette, you can eat it with a spoon! Hey Pati! So excited to finally try this recipe! The vinaigrette asks for 3 garlic cloves. Do you top the finished salad with the other two? Oh thank you for catching that, Jasmine! They all go in the vinaigrette. The super tart hibiscus flower vinaigrette begs for it, try it! Your right! It’s amazing! One more thing, watercress is out of season. Any substitution suggestions or just leave it out? I’m so glad you liked it! 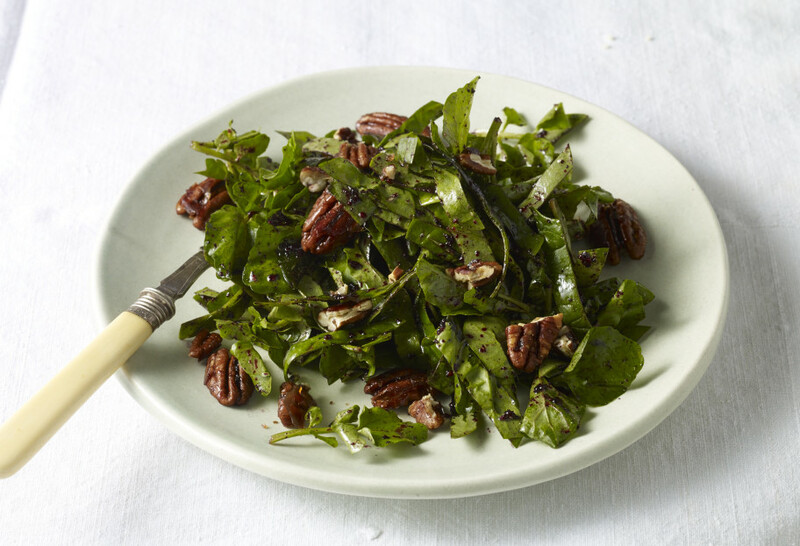 You can also use baby spinach, arugula, baby greens​, or any lettuce you like as a substitute. Baby spinach would be closest to watercress though.